Each version of GPMAW has its own lighthouse as splash-screen and CD-ROM print. 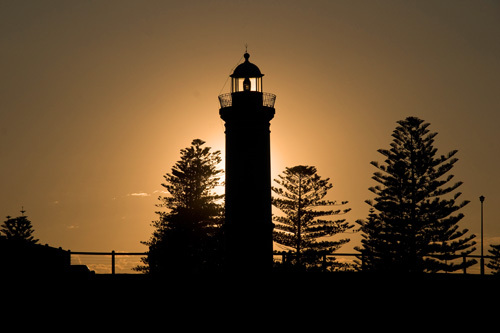 Version 9.10/9.12 has the Kiama lighthouse from New South Wales in Australia. To get information on the program check out GPMAW, the PDF manual, or the ‘Dummies guide’. For errors during install or running, please see ‘Errors’. March 2019. Due to a couple of small errors, version 12.10 has been replaced by 12.11. February 10, 2019. GPMAW version 12.10 has been released. Go to Downloads for more information. August 30, 2018. GPMAW version 12.0 has been released. Go to Downloads for more information. January 22, 2017. Some users still have problems accessing the NCBI server for downloading sequence files. If you can access UniProt sequences, the most likely cause is a problem in the Secure Socket Layer, which can be fixed by installing the two files libeay32.dll og ssleay32.dll. These have been added to the install files for 10.30 so either download and re-install this or download the latest beta version. December 10, 2016. Version 10.30 had an error when calculating disulfide peptides and has been upgraded to 10.31. The time-stamp is identical so all users of 10.30 can upgrade to 10.31. October 06: beta-version with fixed access to NCBI sequences available. September 1, 2015: GPMAW version 10.1 has been released. Go to Downloads for more information. November 1, 2014: GPMAW version 10.0 has been released. Go to Downloads for more information. August 1, 2014: Due to almost no traffic, the Lighthouse data fax has been discontinued. Please communicate by e-mail (php@bmb.sdu.dk). March 09, 2014: Due to a persistent error in the calculation of ms/ms fragments version 9.51 has been upgraded. Go to Downloads for more information. November 03, 2013: Due to an error in the calculation of ms/ms fragments version 9.50 has been replaced by 9.51. Go to Downloads for more information. September 22, 2013: Version 9.50 is released and is available for download. Go to Downloads or to the Version 9.50 information. January 27, 2013: Download assistant. In order to help with the sometimes confusing versions of the installer, here is an assistant to help you. Download page. October 17, 2012: Version 9.21 released and available for download - please check here. June 02, 2012: Full demo version available for download - please check here. June 02, 2012: Version 9.20 of GPMAW has been released. The update can be downloaded from the Downloads page, changes can be viewed here. April 06, 2012: The web site has been reworked and is presented in a different layout. March 03, 2012: Beta version 9.13beta5 has been posted and can be downloaded from the beta page. January 08, 2012: A beta version labeled 9.13beta1 has been posted and can be downloaded from the beta page. November 5, 2011: The new version 9.12 has been released. For changes and new features See the 9.12 upgrade page here. Downloads here. Information on previous versions and update history can be found HERE. You can download the PeakErazor program as presented at the MPSA 2002 meeting in Valencia. Please see the PeakErazor page.